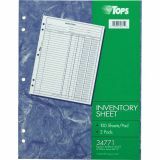 TOPS Easy Use Inventory Sheets - Forms easily record all inventory items during periodic counts. 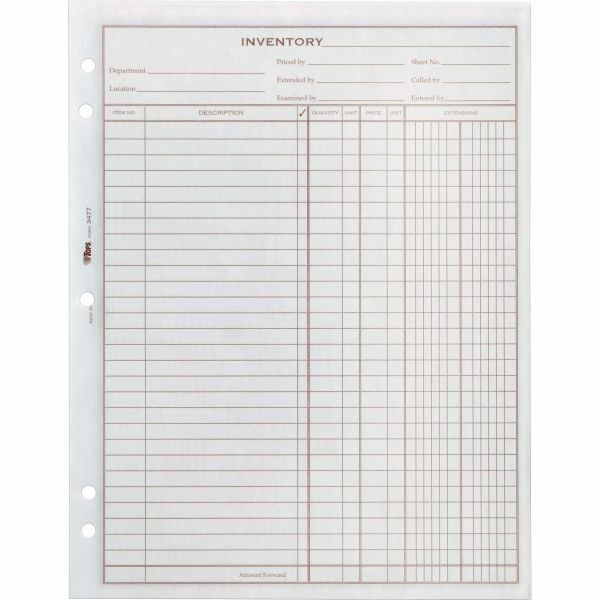 Design highlights important areas to ensure proper documentation of inventory information. 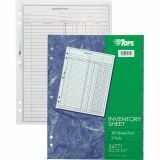 Layout provides easy data entry and calculations with 28 unnumbered lines on front and 33 unnumbered lines on back. 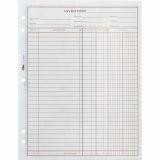 Each pad of inventory forms has 100 one-part sheets of white bond paper.